This is freakin’ genius. 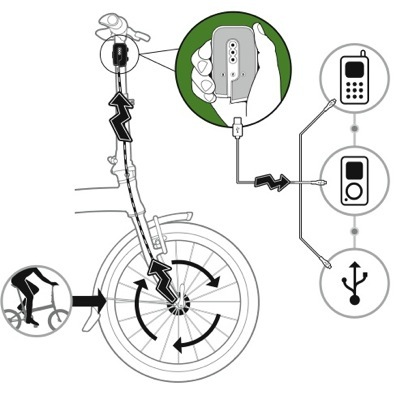 Dahon will introduce the BioLogic FreeCharge, a device that connects to any dyno hub on the market to charge your iPod, iPhone, GPS unit, or other small electronic item through a USB port. The BioLogic FreeCharge siphons off juice from your generator hub into a high-capacity battery, which in turn supplies steady current to your electro widget. Thus the FreeCharge protects your electronics from the wildly variable output of the dyno hub. 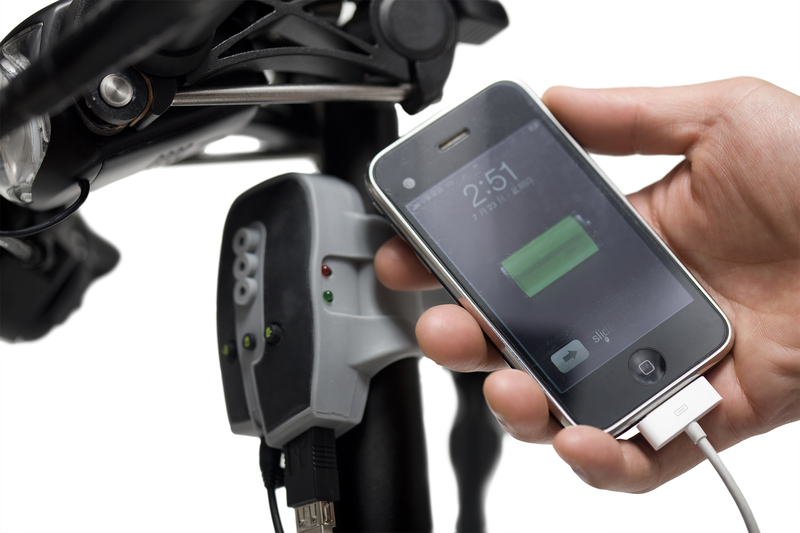 The FreeCharge uses a silicon casing to secure the unit to the bike and provide sealing to the charger. An iPhone takes about 3hrs to reach full charge, so it’s not like you could fully charge it while on your lunch break, but the BioLogic FreeCharge would allow you to fully use your device all the time while you ride. I could see how the FreeCharge would be the item to have for touring riders next year. And Dahon will include this item standard on two bikes, the Ios XL and the Speed TR. I imagine stepping out of an airport or train station, unfolding my bike and popping my iPhone onto the FreeCharge so I can continuously use the GPS ap without killing the battery. The BioLogic FreeCharge will be also be available as a separate unit for about $99 next March.